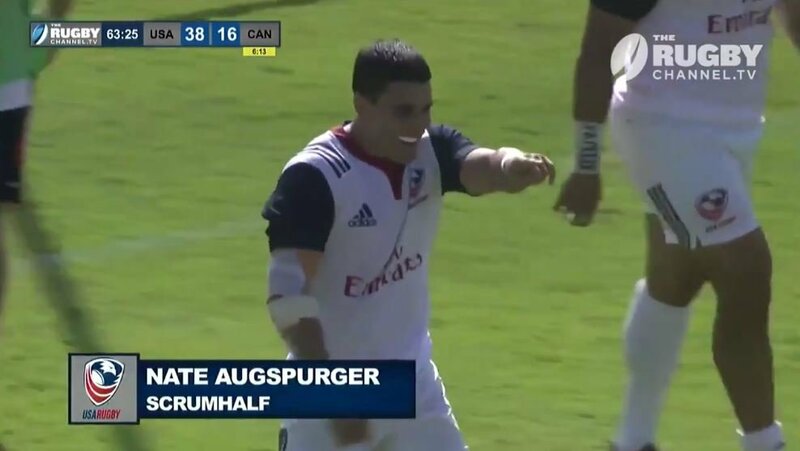 Nate Augspurger gets on the end of a very decent US effort in their recent win over Canada. The US booked their place in the 2019 RWC and as in the Americas One spot for the first time. They did it in some style too, winning 52 – 16 at the at Torero Stadium.